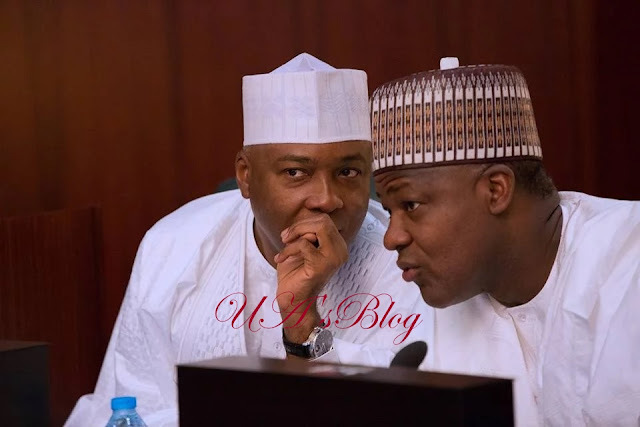 The untold reason why the Speaker of the House of Representatives, Yakubu Dogara has silently dropped the idea of the planned defection from the All progressives Congress, APC to the opposition party, the Peoples Democratic Party, News Proof has learned authoritatively. Dogara and the President of the Senate, Dr. Bukola Saraki had planned to dump the APC at the same time. In fact, some PDP members had already been seeing the Speaker as its member following Saraki's defection. But till date, the Speaker is yet to dump his party as planned, a decision which many PDP members and loyalists of the Senate President, Bukola Saraki are describing as a brazen betrayer. According to our source, a major concern in Dogara’s camp was what could be the likely result of the 2019 polls and which political party would assume majority control in the House. Dogara loved to return next year to continue as the Speaker, one of the Speaker's associate confided in Punch Newspaper reporter. It was learnt according to Punch Newspaper that the APC, soon after Adams Oshiomhole emerged as the National Chairman, reportedly moved in to resolve the local dispute between Dogara and the governor. Commenting on the Speaker’s fate, the Chief Whip of the House and leader of the majority North-West caucus, Mr Alhassan Ado-Doguwa, had noted that it would be in the interest of the APC to have Dogara in its folds. Ado-Doguwa, who is from Kano State, added, “I am also authoritatively aware that up till today, Dogara is a faithful member of the APC, and still ready for further negotiations on the perceived bitter relationship with his state governor. “I, therefore, urge the national leadership of our great party to dispassionately intervene on the Speaker’s issue in Bauchi State and bring it to a logical conclusion.